Looking for Metal Roofs For Your Home In Holland MI? Upgrade to Metal Roofs For Added Benefits To Your Home! With over ten colors to choose from, you are able to customize your metal shingles to perfectly match your architecture and style. These roof finishes are able to withstand winds of 100MPH and coated with a special Kynar 500 finish to maximize color retention, these durable shingles will enhance the value of your home and lower your heating costs while maintaining your style. 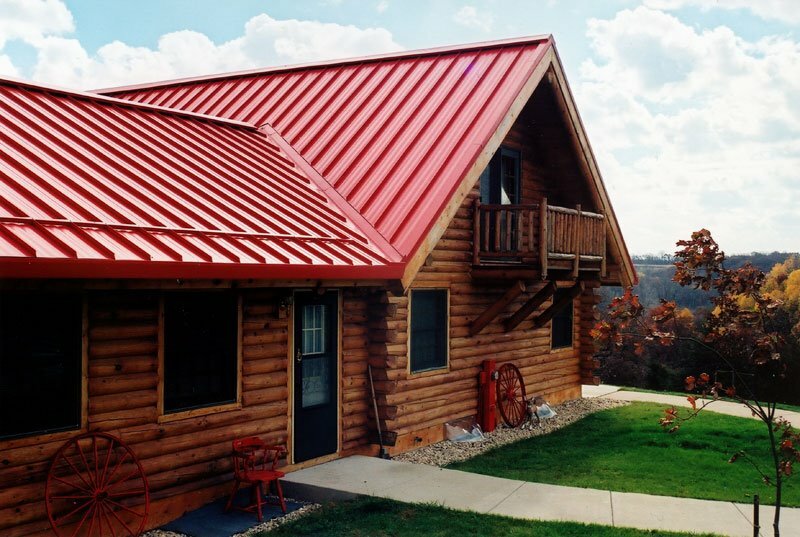 Standing Seam is one of the most recognizable as a metal roof. One great advantage of standing seam metal roofs is in the actual name itself, seams, the weak point in any roof and a potential entry point for moisture, are raised above the level of the roofing panel. CMG (Coated Metals Group) manufactures the Standing Seam Roofs we use and can color match to virtually any color. We have served West Michigan since 1954 by staying true to our core principles of Personal Service, High-Quality Materials, and Fast & Efficient Installation. We service Muskegon, Holland, Saugatuck, Allendale and everywhere in between. With the highest quality in craftsmanship and personal service, we hope you will continue to choose us for your exterior home improvement projects.Call us today for a FREE estimate and we'll start making your dreams a reality.